Series: When Life Doesn’t Make Sense Title: Yet I Will Rejoice Text: Habakkuk 3:1-19 When life doesn’t make sense… 1. Rest in the mercy and power of God 2. Rejoice in God even if there’s nothing else to rejoice in May circumstances never choke out our joy in God! Series: When Life Doesn’t Make Sense Title: God Never Fails Text: Habakkuk 2:2-4 Today’s takeaway: Live by faith when life doesn’t make sense 1. God remains steadfast 2. God sometimes ordains things that seems out of character 3. God will indeed bring about justice May faith be our cry when life doesn’t make sense! 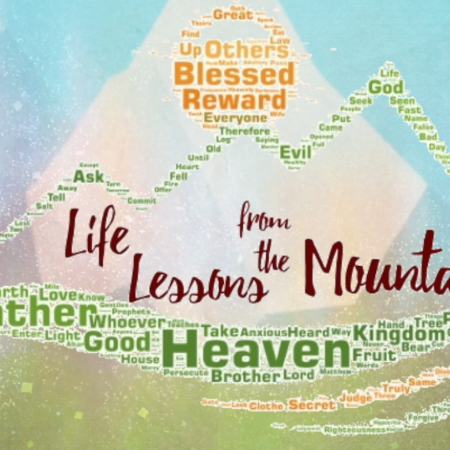 Series: Life Lessons from the Mountain Title: Irreconcilable Differences Text: Matthew 5:31-32 1. Can I divorce my spouse? 2. Can I remarry after divorce? 3. What should I do if my remarriage wasn’t biblical? 4. How do I safeguard my marriage against divorce? May divorce disappear from the people of God! Series: When Life Doesn’t Make Sense Title: Oh Lord, How Long? Text: Habakkuk 1:1-2:1 Today’s Takeaway: Cry out to God when life doesn’t make sense 1. God hears you 2. God remains steadfast 3. God will answer you May you be quick to cry out to God when His promises seem slow in coming to pass!